« Thomas DiLorenzo testifies to Congress that central banks create panics, but what about commercial banks? 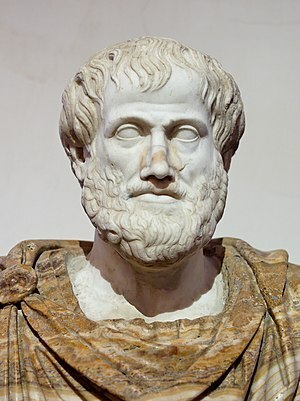 The following quotation on fiat money is attributed to Aristotle, one of the fathers of Western thought, who lived from 384 to 322 BC. However, when I did a Google search for that quotation, it only produced 56 results, none of which cite the book that he allegedly was reported as saying that. Searching the MIT Internet Classics Archive for any references to the above quotation, and similar variations thereof, turned up no such reference. When hearing any quotation, such as the one about private banks that is widely attributed to Thomas Jefferson, you should consider whether it is actually authentic. There are many quotations widely attributed to prominent historical figures that are used to bolster the credibility of various claims, such as the alleged inferiority of fiat currencies. However, if the quotations are inauthentic, then the credibility of the claims based on them has to rest on other criteria. See my article on the English tally sticks for an example of a successful fiat currency that lasted hundreds of years. In the middle of the 19th century Karl Marx coined this term to describe the notes and loans that governments and gentry used to finance wars, luxuries, estates and otherwise living beyond their REAL means. At that time such paper would accrue during “Boom” times as the economy expanded and would usually max out at around 10-12% of a countries GDP. As long as the good times rolled on it was not a problem, but came a crisis of over production (of all the wrong things) there would be the day of reconing. Ergo, the bill collectors came and cash not paper promises was the order of the day. This resulted in a variety of ways to settle, some were paid in part or in full but more often bankruptcies and swindles resulted. Then the stage was set for the next cycle – boom bust. Today though the situation with ‘ficticious’ or ‘counterfeit capital is vastly different. OFF THE WALL! There is not a farthing of REAL capital in all of this ratbag of lies, swindles and manipulations. The 99% will be robbed of (much prepaid) social services and benefits to sevice “debts”. Austerity it is called when those who had NO hand in running up this fraud are required to pay interest that will amount to 40-60% of the future product of their labour. Gone will be pensions, good schools, decent medical care, infrastructure (e.g. utilities that work reliably); even adequate diets will be history. “Let them eat cake!” exclaimed La Royale Marie Antoinette. The “poor little ones” are but appetisers who will whet the appetites of these financial service vultures and jackals. For certain if they succeed at the start the taste of financial carrion will make them hunger for more, and they will finish only when the 99% of humanity is subject as debtors to enslavement by 1%. But his does not have to be! Greece you can repudiate the fraud! Lead the way! DEFAULT is the way to go! 99% be inclusive! Support Greece today, Italy Spain, &c. tomorrow and…?? the world in future. Hold on to your souls! As a practical speculator trying to make a buck, the question I care about is not how long a fiat currency in general can last, but how long it can last when it is being printed at the rate we are seeing now. History is very clear on that one. I look forward to reviewing that book. I first heard him on The Rick Smith Show this past Thursday. Zarlenga wants a variation on the “wealth money” system – pre-tax. He’s got no idea how class-warfare is created and in turn how to eliminate it. Don’t go to Aristotle for advice. We need to stop calling brokers “banks”, and get our cash from the Internal Revenue and Cash Service. Shut the Fed down clean cut. The Monetary Act, painful as it was to read, definitely stretched my brain.